The international flight from Apia, Samoa to Pago Pago, American Samoa is just 35 min long and operated by Samoa Airways (the old Polynesian Airlines). 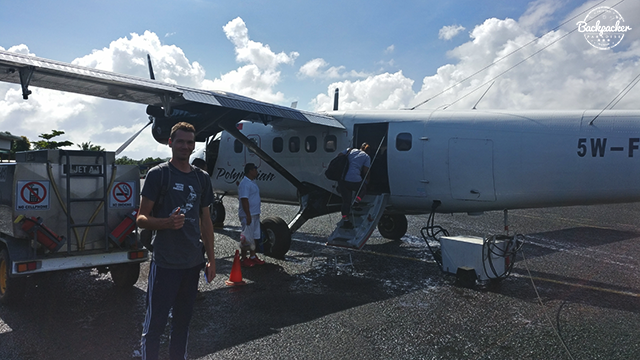 Whether you're interested in American Samoa or not, the flight itself is worth the whole trip. As we got into the airplane, together with the two other passangers and the two pilots, the main pilot turned around in his seat and looked directly at us (as there was no door to the cockpit) to give a short brief which ended with "...if you need your lifejacket, I'll scream at you". 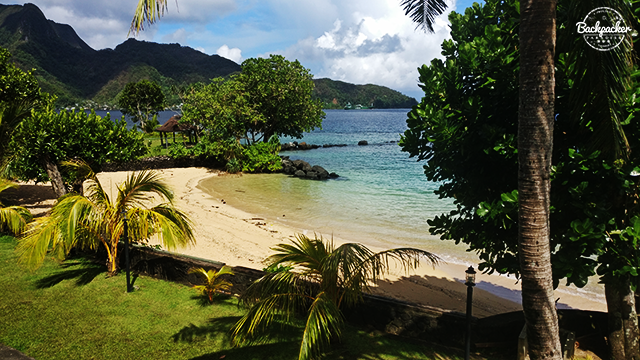 Recently American Samoa has introduced at 20 USD fee for visa on arrival, which must be paid in cash. Fagali'i Airport in Apia has a currency exchange. Once you land in Pago Pago International Airport you've still got about half an hour to the city. 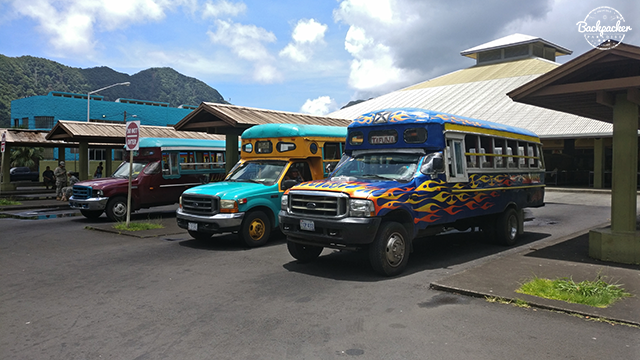 Take one of the colorful local busses (aiga) for just 1 USD. The aigas provide easy transportation around the island. You can stop and catch the bus anywhere. Make sure you sit on the right side of the bus to spot Fatu Rock (Flower Pot Rock). 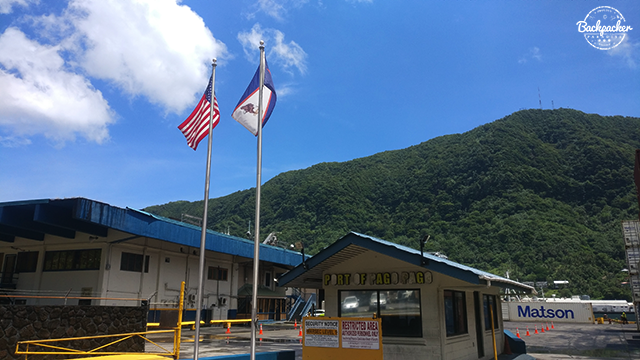 Pago Pago is the named capital centre, but in reality the village of Fagatogo is the center of American Samoa. As the administrative headquarters of the U.S. Naval Base Tutuila from 1900 to 1951, it was for many decades the most westernized village. Today it still functions as the most active town centre on American Samoa. A visit to Fagatogo Market is one of the things to do around here. We stayed at Sadie's by the Sea Hotel. The former Intercontinental Hotel and later Rainmaker Hotel. On April 17, 1980 an Army Airshow went wrong as an aircraft got tangled in the tramway main cable wire and crashed on site at the hotel claiming one civilian life. Utulei Beach is right behind Sadie's by the Sea Hotel. My favorite place however, was Blunt's Point Monument. 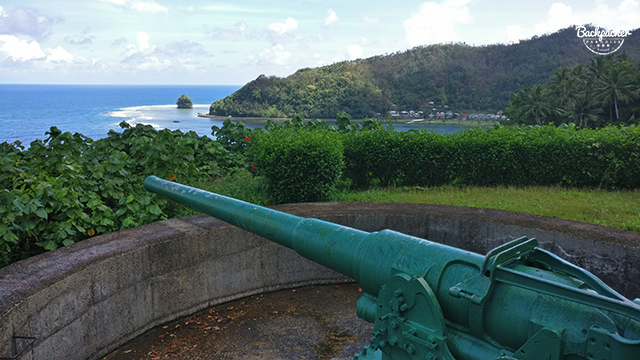 A small hike to a WWII leftover gun station placed by the Americans as a defends against Japanese invasion of American Samoa. There's not any signs to the beginning of the hike. The path is located north of Blunt's Point, on the left hand side of a laundromat/Chinese shop. Once you reach Blunt's Point Tank you'll have to make your way clockwise along the fence. From there you'll reach a few stairs before making it to the cannon. There's a great view of the coastline as well. 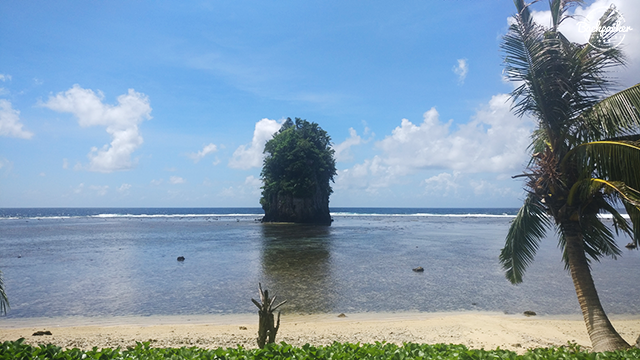 All in all, there's not much to do in American Samoa and our 1 night stay was just perfect for getting a feeling of the island while visiting the most essential spots.